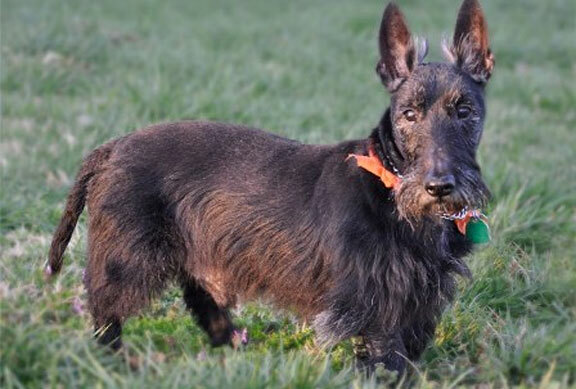 Pierce was abandoned to an animal shelter, and eventually found his way into Scottie Rescue. He is a senior adult but is a great ‘ol man with a heart of gold. He is fluent in both ‘MOOCHING’ and ‘COUCH’. He has no interest in cats and simply avoids even speaking to them. His voice is reminiscent of Sam Elliot as he has a very quiet gruff. When he needs to go potty, he will woof several times (although he uses the same woof when he wants to come downstairs and sit on the couch also). Ears, belly and back scratching is without a doubt a favorite way to please him and he will give ample opportunity for you to indulge. Popcorn is his ‘go-to’ food of choice unless you have something else in hand. A warning however, he absolutely can’t be trusted around cheese quesadillas. Scary movies seem to be his favorite thing to watch, but will lay on the couch if you need to watch the news. 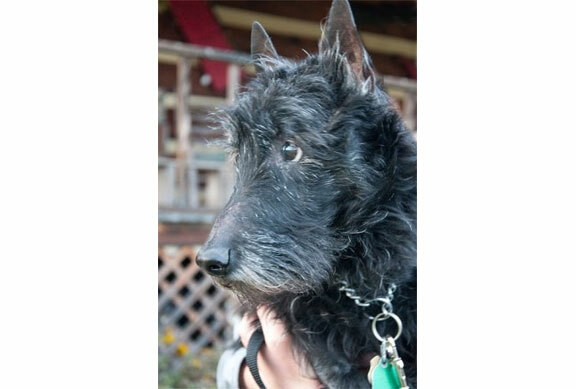 If you can give Pierce this type of home, please fill out the online application and indicate that you are interested in Pierce.